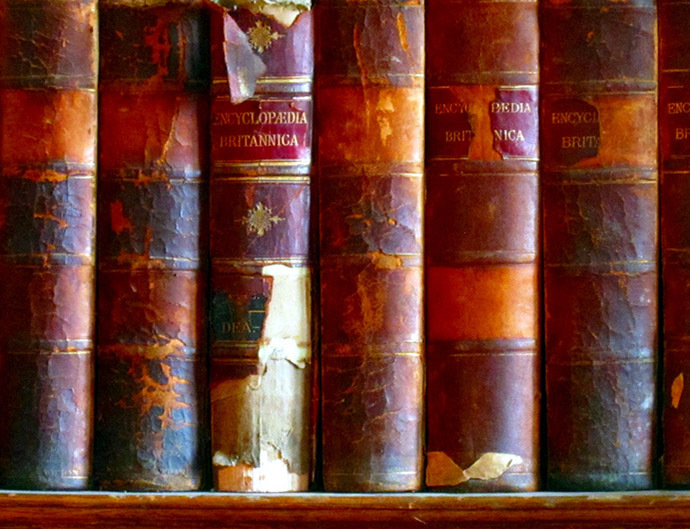 The Wikipedia revolution: Whatever happened to Britannica? Chances are if you were born before about 1992, rather than running to the Internet for help with school assignments, you turned to your family’s encyclopaedia set instead. Organised into alphabetical volumes, it was easy to get lost flicking through these books, finding obscure entries on faraway places, fascinating historical figures or strange animals. Today, what were once great collections of human knowledge now sit on dusty bookshelves, in corners of primary school libraries and boxed away in attics. Titles such as Britannica, World Book and Colliers used to be household names, but they are on the brink of extinction due to the gargantuan digital descendant that is Wikipedia. While the earliest encyclopaedias were compiled around 2000 years ago, the modern general purpose encyclopaedia arose around the middle of the 18th century. They were widely printed, popular, affordable, and found their way into homes across the world. The mid 1990’s saw the rise of interactive multimedia CD-ROM encyclopaedias like Microsoft Encarta, which combined on screen text with videos and sound. Like their print counterparts though the information on these CD-ROMs was stored locally, and a new edition was required to update the knowledge contained within. It wasn’t until Wikipedia began to explode in popularity during the mid-2000s that the encyclopaedia landscape was truly shaken up. For those few who may not be aware, Wikipedia is a massively popular, collaboratively written, open-source and free webpage that serves as a digital encyclopaedia for the whole world. There are currently over 4.5 million Wikipedia articles, a staggeringly greater number than the 40,000 or so that could be found in Britannica. You would be fighting a steep uphill battle to argue that the popularity of Wikipedia hasn’t been a driving force in marginalising the traditional Encyclopaedia companies. If not driven out of business entirely, the older companies have been struggling to adapt to the online age. Even the venerable Encyclopaedia Britannica has switched to an online only presence, ending print publication in 2012, after 244 years. – Accuracy is scrutinised by experts and scholars before going into print. – Permanence means same information can be retrieved later without fear of it being removed or changing. – Print versions accessible offline, not dependant on access to a computer and internet connection. – Information contained is limited by the physical size of the books. – Doesn’t account for new information, accuracy decreases over time. – Access can be difficult as they can be expensive to purchase or requires travel to where the books are located. – Effectively unlimited in scope, contains millions of articles. – Information is updated by the minute. – Accuracy can be debated and editors held accountable. – Biased edits or vandalism may go unnoticed, decreasing accuracy. – Requires access to an internet connection. What’s the impact of moving to Wikipedia? These pros and cons have moved beyond the theoretical, and many studies have been performed to scientifically assess the consequences of our move to Wikipedia style knowledge bases. A study by the Journal of Psychological Medicine compared a range of qualities such as accuracy and breadth of information, across 10 mental health topics between Encyclopaedia Britannica, Wikipedia and a psychiatry textbook. Not only did Wikipedia prove more accurate than Britannica on all topics, it even beat the psychiatry text book. In fact, time and again Wikipedia has been shown to be more accurate than common belief would hold, and more accurate than traditional encyclopaedias. Wikipedia itself even has an article that lists studies into the reliability of Wikipedia (and yes they have a page on Criticism of Wikipedia for balance). Combine this information with the fact that Britannica itself has been found to contain some pretty glaring errors and it starts to become difficult to fight for the classic encyclopaedia. Once you take a look at this physical representation showing how much knowledge is found on Wikipedia compared to a printed book, sticking up for old Britannica for anything other than nostalgia becomes even harder. Sure it’s not without its drawbacks, and errors and bias can creep in, but Wikipedia really is a marvel of the modern age. The amount of knowledge at your fingertips is truly staggering, and something that previously could only be dreamed about in science fiction. So by all means grab those dusty encyclopaedias off the shelves, run your fingers along the spines, have a flick through and take in that old book smell. However when it comes to researching that assignment about Cleopatra or the fall of the Soviet Union, the evidence suggests you’re better off taking a journey through Wikipedia. Why do some people love the latest and greatest tech… and some don’t?